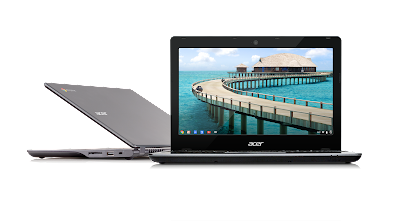 Following their announcement at IDF, we’re delighted to officially welcome the Acer C720 as the latest addition to the Chromebook family. Featuring Intel’s latest Haswell processor and a battery that lasts all day, the C720 is an ideal balance of power and portability. The C720 is available online at Best Buy and Amazon for $249.99 in the U.S., with devices arriving in stores soon. The C720 will also be available in Germany, UK, France, Netherlands, Sweden and Finland. We’re also happy to see that Acer is bringing their Chromebooks to India for the first time, available at Flipkart.